Sign up for this year's Ricky Tullos Football Camps for grades 2 through 6 and 7 through 9. Friendswood continues to keep themselves in a spot for the playoffs as they edged Galena Park 7-4 to improve their district record to 6-4. 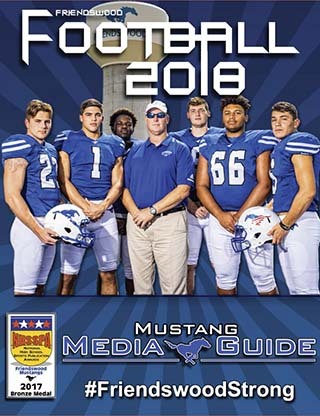 The Galveston Ball Tornadoes captured the District 22-5A title with 162 points while the Friendswood Mustangs came in second-place with 125 points. Dawson had several winners at the district meet that allowed the Lady Eagles to capture the league crown. The Oilers improved their league record to 9-0 which gives them a two-game lead over Strake Jesuit (7-2) and George Ranch (7-2) . . . The No. 8 state-ranked Lady 'Stangs improved their district mark to 11-0 with a 13-0 pounding over Galena Park in six innings. The Friendswood Lady Mustangs ran away with the 22-5A track championship with 191 points. The Manvel boys and girls captured the 24-5A track titles and will compete at the 5A regional track meet . . . The No. 12 state-ranked Friendswood Lady Mustangs continued their unbeaten journey through District 22-5A with a convincing win over Santa Fe 11-4. “We’ve had such an amazing season, it was going to be hard no matter when it ended, and it’s really hard that we didn’t go as far as wanted to,” Friendswood head coach Laura Peter said. Dawson senior pitcher Courtney Day in the pitching circle allowed only one run on three hits while fanning 10 Pearland batters. The Oilers fought hard but fell 2-1 in the area round of the 6A playoffs . . .
. . . Pearland shot a two-day team total 636 (316-320) while Strake Jesuit shot a two-day team total 635 (314-321) which gave the Crusaders the 23-6A crown. "The Lady Oilers “A” team came out sharp shattering one and two day team total records, as well as individual scoring records," said PHS golf coach Robert Stiles. It only took five innings for the Friendswood Mustangs to dispose of the Baytown Lee Ganders 17-0 as the 10-run rule ignited the mercy rule to end the lopsided district contest. 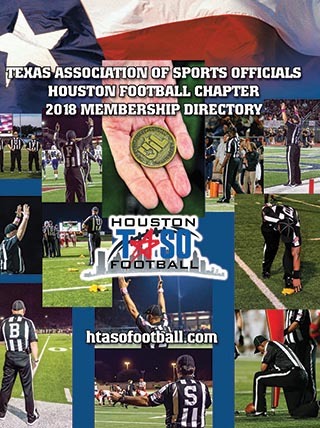 The win gives Friendswood a 9-0 league mark while they have already punched their ticket to the post-season. 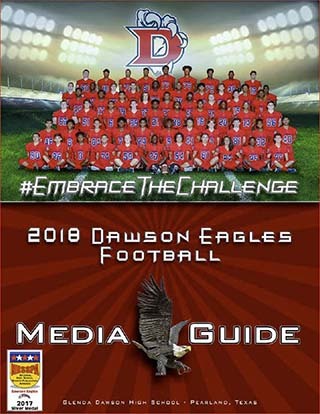 In an eight team district, all Dawson has to do is to defeat the Alief schools for a guaranteed fourth place in district and a playoff spot. The Lady O's advance to the area round of the Class 6A Region III playoffs. “Our team score of 336 the second day was 25 strokes better than we’ve played all year,” (head coach Scott) Smith said. The Lady Oilers advance to the area round of the playoffs in a rematch against Deer Park. Older Stories . 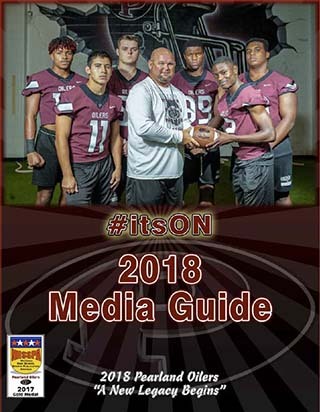 . .
National Award-winning Football Media Guides! Click to Read Online . . .